Getting involved with your local hospital radio station is a fun way of getting familiar with all different aspects of radio broadcasting. In considering this as a form of voluntary work you’re likely to meet up with other like-minded people who share a passion for radio so you’re likely to make lots of new friends yet additionally, you’ll be providing a very valuable service to hospital patients who can gain a lot of comfort and enjoyment from listening to the broadcasts. Before the explosion of communications and other forms of media courses at universities, websites such as You Tube and innovations like podcasts, hospital radio was seen by those who were active participants within it as possibly one of the few ways in which you could gain the necessary grounding and experience to go on to pursue broadcasting as a career. In fact, many of TV and radio’s most established celebrities will have begun their careers with a stint on hospital radio in their formative years. However, the ethos has changed somewhat these days and, even though it is still good experience for those wishing to enter the broadcasting profession, there are so many other ways and means of doing that these days that it should only be considered as a voluntary job if you intend to simply want to pick up a few skills in a fun environment and are prepared to ‘muck in’ as opposed to viewing it as your big chance of being the next Chris Evans as, in most cases, you’ll end up being disappointed if you intend to view it as a stepping stone to stardom. It can, however, still play some part in providing you with experience should you wish to take it up as a profession in the future. Will I Get My Own Programme Straight Away? For many, the reason they get involved in hospital radio is because they have a desire to host their own programme but it isn’t as simple as that and it may be some time before you get your chance behind the microphone. Volunteers who work at a hospital radio station all tend to pitch in with just about everything that needs doing. You could be asked to catalogue the CDs, empty out the rubbish bins or vacuum the studio carpet and clean the equipment and one of the more likely jobs you’ll be given to do in the early stages is to go around the wards collecting requests and dedications from patients and hospital staff who may want to hear a particular record played or wish to give somebody a ‘get well’ mention, for example. You may also be asked to help with fundraising events at weekends and practically do anything that helps to keep the station in good running order. Obviously, no hospital radio station would be able to survive without its presenters and you’ll be given every opportunity to learn the ropes in presenting technique as well as instruction in how to operate all of the equipment if that’s your ultimate goal but you should not volunteer if you expect this to happen overnight as it’s very likely that there are several volunteers who have already been there for some considerable time who are still awaiting their chance to get behind the microphone. Neither is it a role which should be perceived as giving you the chance to simply play the music you like, just like you would at home. Remember, your audience is predominantly the patients, many of whom will be much older than you are and will have very different musical tastes. In most cases, the choice of music you play will be pre-determined by the station manager whether you like it or not. 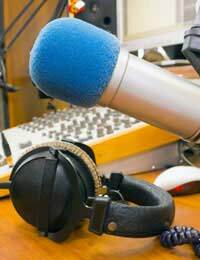 For those who’d like to present but not particularly a music show, many hospital radio stations now have outside broadcast capabilities giving the likes of would-be sports commentators to report on local sporting events taking place within the community and there may be opportunities to get involved as a news reader too. For those who prefer to work behind the scenes, there are also opportunities for those who can work as radio technicians or have engineering/electrical/electronic skills who can help to keep the station on air and can fix equipment when it goes wrong. Hospital radio stations tend to prefer volunteers who are willing to be flexible about what they’re asked to do at any given time and are just glad to be there contributing in some way. For those who view it as a way to gain experience, there will be training on the equipment and learning broadcasting technique by shadowing presenters, engineers etc in order to get you up to speed but don’t be expecting to never have to get your hands dirty or to help out with things like fundraising because unlike the ‘real’ world of broadcasting, hospital radio is definitely not about having huge egos or trampling over others to get on. If your intention is to do something fun and you don’t mind getting out and about in the wards meeting patients and taking requests etc., then you’re sure to have a good time but if you’re hell bent on pursuing a career in radio, hospital radio may not be the right way to go about doing that unless you’re prepared to muck in too. As far as commitment goes, that can vary but most volunteers tend to get involved a few hours one day in the week and can be asked to get involved with fundraising of a weekend on occasion. If you do reach the ‘hallowed’ position of getting your own programme, however, you should expect to be able to turn up on a regular basis at the same time and on the same day each week to fulfil your commitment as it’s sometimes difficult to replace people at short notice and if you don’t turn up, you might even put a station off air for a while. How old do you have to be to volunteer on the hospital radio? I was looking for volunteer opportunities and I would like to gain more experience in radio production. I have just completed a course within a Creative Production workshop at Reform radio. I have heard that hospital radio is also good for building up experience which people may not have already. Is there any extensive training provided ? I am looking to build more confidence to improve voice fluency. You should be able to find out contact details from the internet. Give them a ring or drop them an email! They'll be able to tell you if it's possible. I am a retired person living in NI. I love the radio and would like to get some information about volunteering for hospital radio. I am not interested in having a programme or in presenting but believe I would be good at speaking to patients and staff and gathering requests for different programmes. Are there any hospital radios inhospitals in Belfast and if so how could I get in contact with them? Hospitla radio volunteering differs by area, so it might be better to contact your local hospitals directly. If they're both musical, they might like to do voluntary music tuition. Ask local music groups, schools, youth clubs etc. Greetings All, My name's Byron and I'm looking to have a go at Radio presenting etc. From January 2006 to July 2008 I was the Media & Press Officer of City Radio Haringey. I joined in 2006 as the station was due to receive it's 'on air' licence from Ofcom. However, at the last minute our application was declined due to the numerous applications received which could not be accommodated. We were told to link up with other stations, but declined their most gracious offer! Aside from that I'm raring to go. If it's fun & laughter that you want, then I'm your man; if it's current affairs - again I'm your man; if it's Public Speaking - yes I'm your man! Why not give me a try? Finally at the station I was known as Byron James - wow!! I would love to do something like this, I'm open to any and all positions available! Is there anywhere in the northwest doing anything like this? My friend and I would like to volunteer to do the hospital day. Please let me know how to get involved! How can I get involved In hospital radio? Contact you local hospital volunteer section and they will point you in the right direction. Hi, looking to volunteer with local radio stations to gain experience in using equipment and how a station operates and at some point maybe present. Got some media experience on radio and TV and through formal courses si hopefully that us useful to media organisations. Work full time as a senior leader in business so looking forward to give something back. Also sports qualified in football as a coach to high level. Hello I am currently doing my A levels at a sixth form in Nottingham and would love to experience working with a radio station, as my ambition in life is to be a successful radio/TV presenter. I would be grateful for this opportunity, thanks.